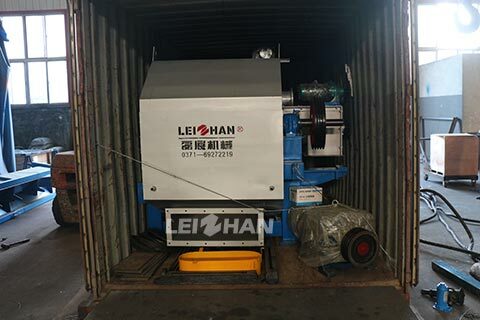 Recently Leizhan provides a 150t/d paper pulping production line to a Egypt client, which is mainly used for manufacturing corrugated paper, white board and kraft paper. We believe that our equipment will play a great role in the future. This 150t/d paper pulping production line is mainly used for making corrugated paper, white board and kraft paper. The pulping and screening capacity is strong, and the applicative raw material is multiple. Leizhan provides lots of equipment for this Egypt client, including screening, washing and pulping machine. The specific products are mid consistency coarse screen, ZNG High-speed Stock Washer, Pressure Screen before paper machine, pulp pump, Drum Pulper’s gear wheel and so on.